Well maybe it is your mom’s casserole. This is a very basic dish that is great for satisfying the kid’s tastes. 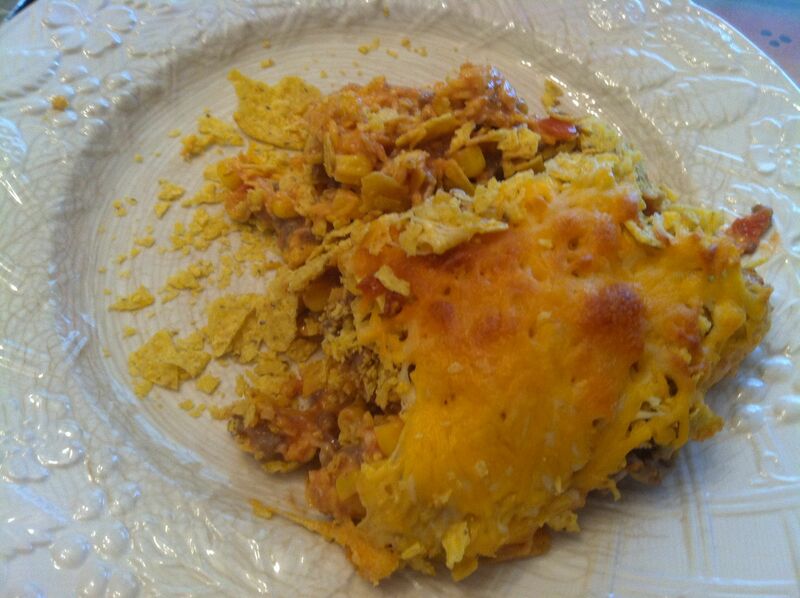 It has a little of the mexican flavors, and with the tortilla chips and cheese it is a winner in our household. Cheesy goodness. 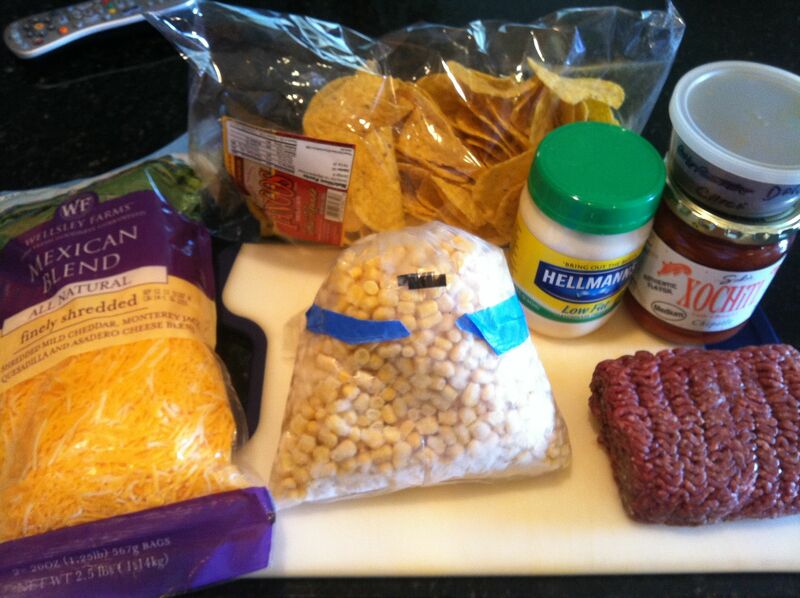 Nachos to eat with a fork. I spiced mine up with some jalapeno rings and a bit of hot sauce, but put that on my plate at the end, so the kids would still eat it. I used frozen corn versus the canned stuff. 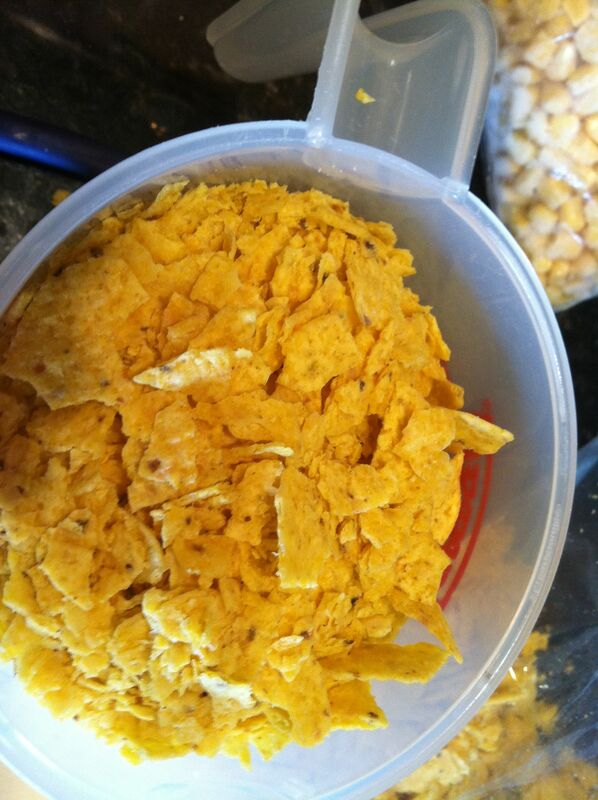 I found it was easiest to pulverize the chips still in the bag first. I like to use a potato masher to break up the beef as it is cooking. 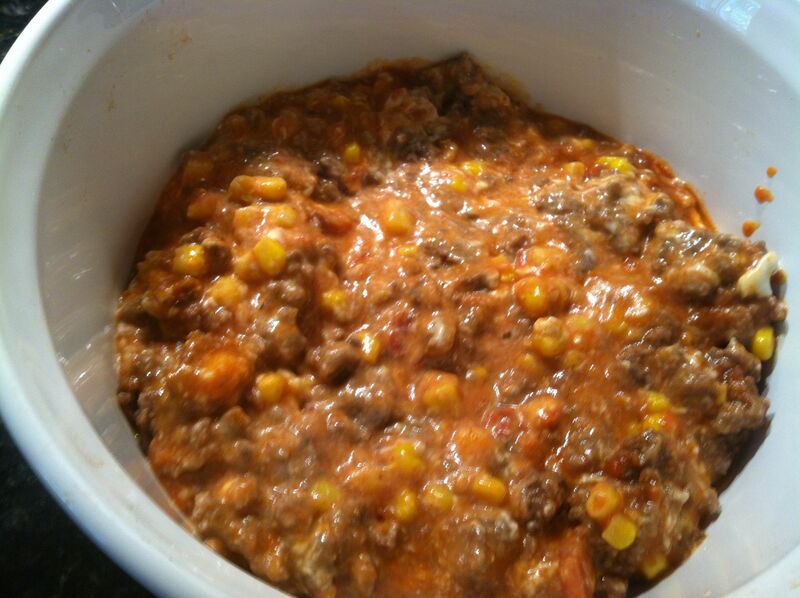 The beef mixture is done. 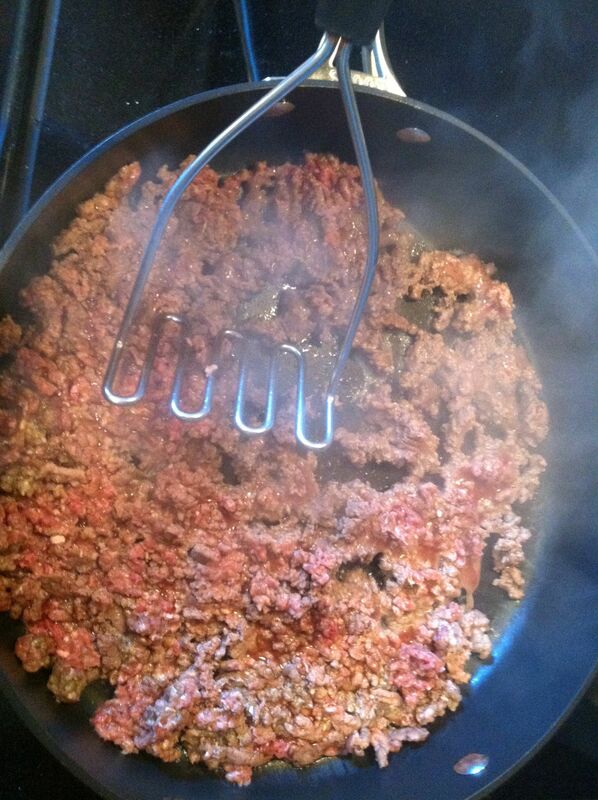 Place ground beef in a large skillet over medium-high heat. Cook, stirring to crumble, until evenly browned. Drain grease. 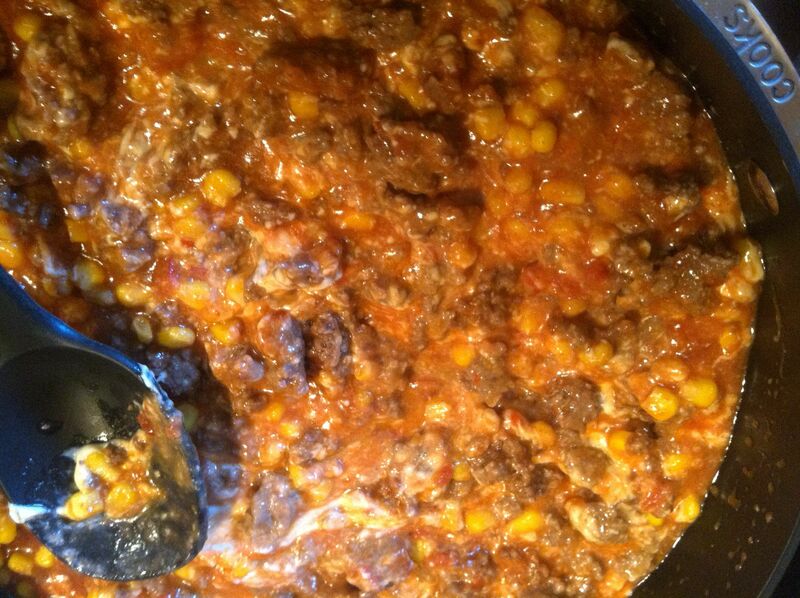 Remove from the heat, and stir the salsa, corn, mayonnaise and chili powder into the beef. 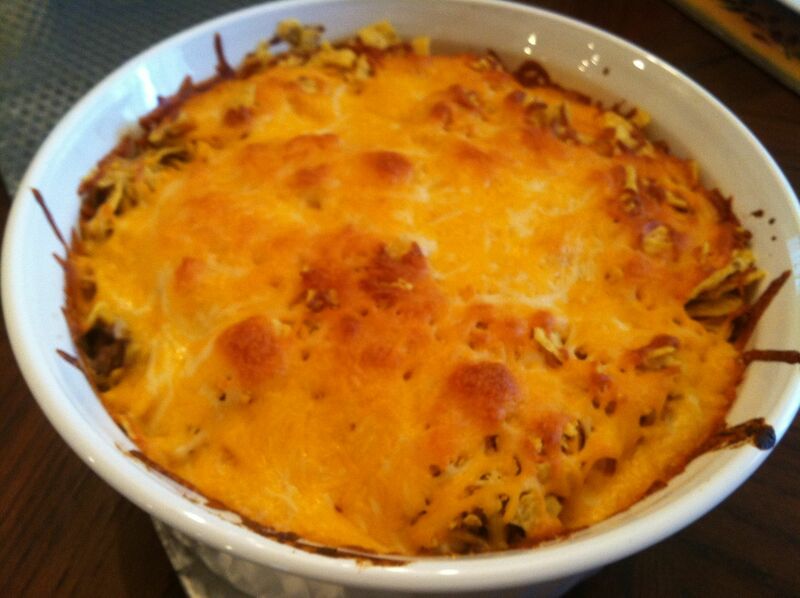 In a 2 quart casserole dish, layer the ground beef mixture, tortilla chips and cheese twice, ending with cheese on top. 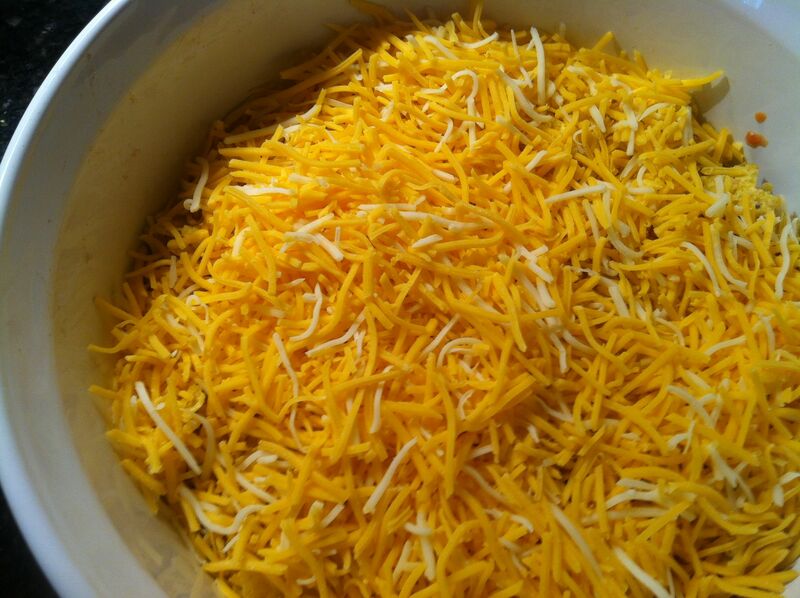 Bake for 20 minutes uncovered in the preheated oven, until cheese is melted and dish is thoroughly heated. Looks yummy, and I’ve always loved that joke! I just recently heard another one… What does a nosey pepper do? Gets jalapeno business! That one cracked me up for a good five minutes. I’m obviously easily amused! This looks really good and pretty easy to make! 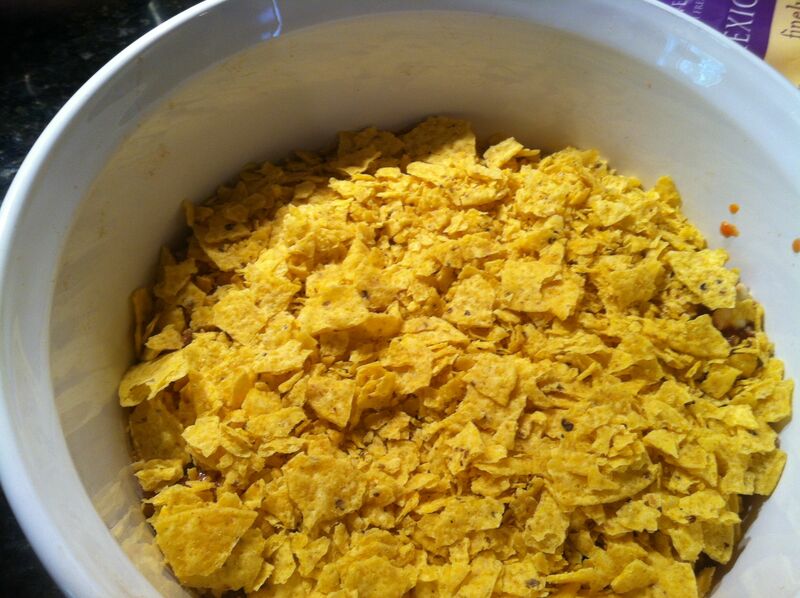 Once I get a casserole dish I’ll have to give it a try, but I am curious: is the overall aftereffect crunchy or soggy nachos? sounds a LOT like a casserole I’ve made before, but without the chips. Reckon I gotta try this Mexican version. I make something VERY similar to this using chicken. My husband is only so-so about it, but I think it’s great and easy when you want something a little less…refined. It’s reminiscent of eating nachos from Taco Bell. This is something my kids would really like. I might try it this week! Yum. I had forgotten about this recipe since my teenagers became adults and moved on to their own lives. Will have to make this one night when I need something quick……which is everyday !! I like the idea of using a potato masher to break up the beef as it cooks – I hadn’t thought of that! Way easier than using the spatula, I’m sure. Thanks for the tip! That joke always makes me laugh. My husband just shakes his head because I find it so funny. I also love Angela’s joke about the “nosey pepper”. Made me laugh. This sounds like an easy dinner to make when you just want to throw something quick together. I would try using something in place of the salad dressing . . . maybe just sour cream? Plus since we rarely use ground beef, I’d use turkey. Mmm, that looks good! Might have to try it one of these days! Something tells me, this dish and I could be very good friends after a big night at the pub. 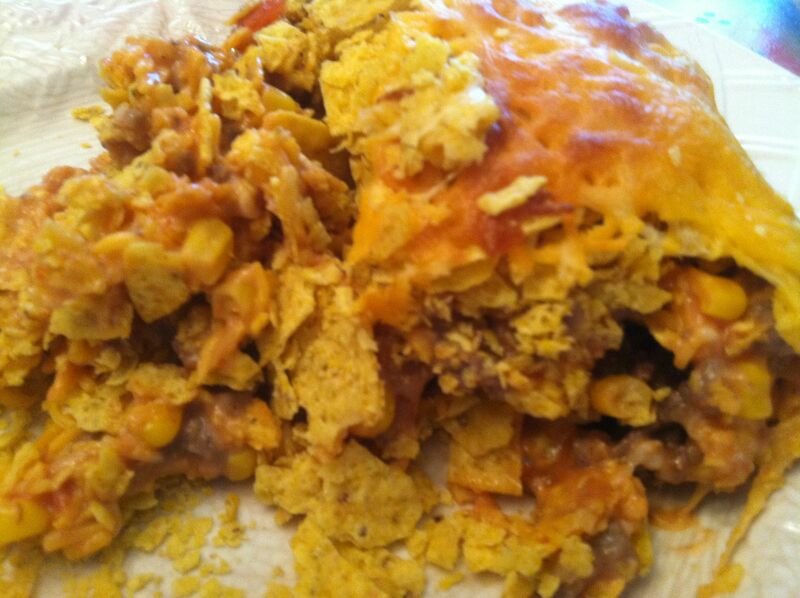 It’s got all the gooey, yummy, crunchy bits I crave with nachos too!